Summary: Unprecedented numbers of Honey Buzzards Pernis apivorus appeared in England in late September and early October 2000. Preliminary analysis by some other sources has suggested that the birds originated from Scandinavia or Germany. This thesis is examined in detail and compared with another analysis based on the migrants being of British origin. It appears, on current information, that a continental source is difficult to sustain on objective criteria. A British origin looks more likely based on the detailed movements of the birds and the extent to which the breeding population in upland areas in Britain appears to be increasing. If the birds were indeed British, a breeding population of over 200 pairs is implied. The observed movement started on 20th September with concentrations in Yorkshire and Lincolnshire along the east coast and a total of 75 birds logged. There seems to be some confusion over the exact behaviour of the birds at the start of the influx ( Lincolnshire Records ). On the 21st 65 were noted, with more inland and in eastern counties south of the Humber with a concentration in Essex. On the 22nd 135 were noted over a wide area of eastern England. Essex again held the main concentration. On the 23rd 210 were noted mainly from the East Midlands southwards with peaks in Leicestershire and Essex. On the 24th 65 were noted with a similar pattern to that on 23rd. On the 25th 200 were noted over nearly all of England except the south-west. They were starting to appear at south coast departure points at Portland Bill and Beachy Head. On the 26th 65 were noted with a scattering in East Anglia. On the 27th 70 were noted, widely scattered in Yorkshire and the Midlands and more concentrated around the Thames. There were a few on the south coast from the Isle of Wight to Sussex. On the 28th 85 were noted with concentrations in the north of England at Teesside, Lancashire and Yorkshire and further south in London and Hampshire. On the 29th 85 were noted, mainly inland from Lincolnshire-London. But the first significant passage was noted in the Portland area and there was a concentration at Beachy Head. On the 30th 300 were noted and there was a massive exodus from Beachy Head and Portland Bill with small numbers inbetween in Hampshire and the Isle of Wight. There was still a scattering of records inland from Lancashire, Yorkshire and the Midlands. On the 1st October 110 were noted with some still going over Beachy Head but some were still inland on a belt from Lancashire to London. Small numbers continued to be reported after this date with approximately 12 reported on pagers (were on Birdguides at http://www.birdguides.com/ , not available now) on 4th October as far north as Yorkshire and 13 on 6th mainly from west Kent to Dorset. 22nd - 3, 23rd - 18, 24th - 4, 25th - 15, 26th - 21, 27th - 21, 28th - 13, 29th - 117 and 30th - 155. The main sites were Beachy Head with 113 including 63 on 30th; Selsey peninsula with 89 including 27 over Church Norton on 30th; Brighton 65 including 28 on 30th; Telscombe 27; Coombe Haven 32 and Fairlight/Hastings with 19. Flocks of up to 12 birds were seen at Beachy Head and Selsey. To put this in context there were only 19 September records in the 18 years between 1977 and 1994. Many other raptors were recorded including at least 61 Marsh Harriers and 26 Ospreys. The count for the 29th adds significantly to the totals reported by Surfbirds and Birdwatch. The total in Sussex is 367 in September from 22nd and presumably 11 in September before this date. This last figure is interesting in that it is a historically high total in its own right. Another departure point, Portland Bill in Dorset, was monitored by the Portland Bird Observatory and Field Centre (http://www.portlandbirdobs.btinternet.co.uk/birds.htm ). Counts here were 3-6 on 28th September, 15-20 on 29th, 35 on 30th, 3 on 1st October and 2 on 2nd giving a total of 58-66 over five days. Also in Dorset 17 passed over Hengistbury Head on 30th. Smaller numbers were located departing from the south coast in Hampshire and Kent. The claimed total departing from the south coast from 20th September through to October appears to be 417 in Sussex, at least 75-83 in Dorset and perhaps a further 30 in Hampshire and Kent giving a total exodus of about 525 birds. An interesting comment (Martin Cade, BTO News 239:5, March-April 2002) has been made subsequently: "Ringing recoveries have shown that the overwhelming majority of summer migrants passing through Portland are from British and Irish breeding populations". Records came from an unexpected quarter for an 'east coast influx'. In north-west England and north Wales, BirdLine NorthWest reported "a remarkable 50 sightings involving 35+ individuals drifting south through the region [September] 21st to 30th. No fewer than nine different birds passed over Seaforth" (in 2000 at BirdLine NorthWest ). 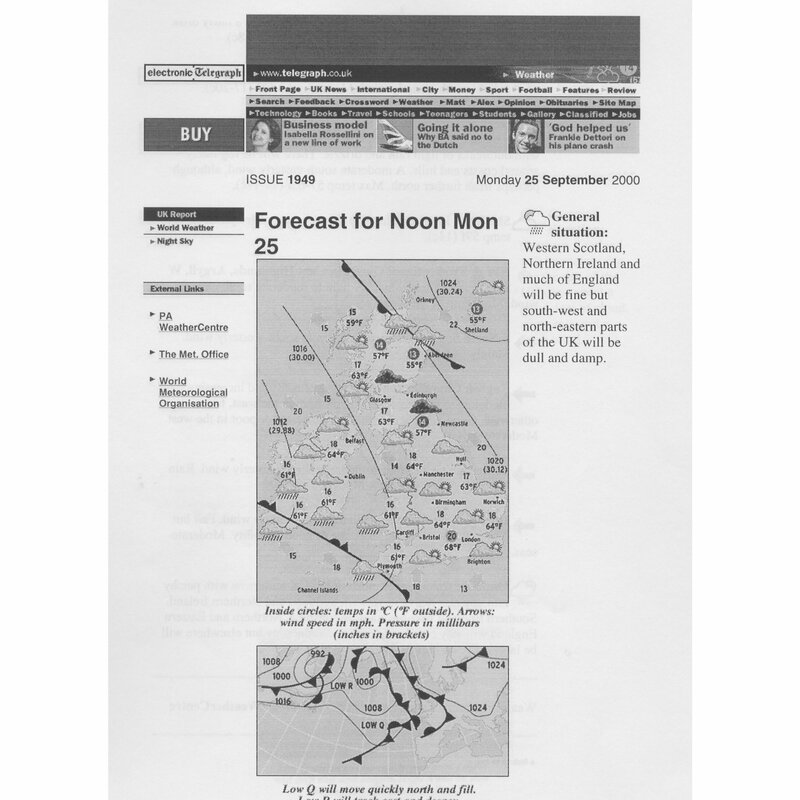 Some confirmed totals, after scrutiny by Records Committees, were published in December 2001 The Birdwatching Year 2000 .
http://ourworld.compuserve.com/homepages/ralphhollins/Bnews.htm , now at Ralph Hollins' Nature Notes . What puzzles me about this vast passage is that it is almost a week since similar numbers were passing over Essex, and they were thought to have been pushed north by freak winds over the North Sea. If those birds had flown on south they would presumably have been over the south coast last Sunday or Monday at the latest... So where did the Essex birds get to? and where did our current wave of birds over Hampshire and Sussex come from? Did last week's birds go off to some secret rest and recuperation centre in the Midlands? Or are the birds we are now seeing a second or third wave which have also been diverted up the North Sea and down the east coast? The speculation could go on for a long time and I hope some facts on the episode as a whole will soon emerge. See also some quotes on EBN when the movement started at Eurobirdnet . Duplication in the counts must be high and there is also the question of reliable identification. Most of the birds (as expected, see later) were juveniles, which aggravates the problem. Forsman (1999) says at p.31: "Adults are usually not difficult to identify if seen well, but juveniles are highly variable in plumage and are probably the most often misidentified raptors in Europe". Competent observers detected Common Buzzards Buteo buteo among the Honey Buzzards so all records will need to be looked at carefully. Pagers may have boosted the number of genuine sightings but they may also have induced a 'Honey Buzzard hysteria' which hopefully records committees can resolve to some extent. It would be a pity if undocumented records were to be accepted as has been suggested (UKBirdnet). This seems to go against the entire ethos of a reliable bank of bird records built up by local and national committees. One of the vexed questions in identification may be that of ageing and sexing. From my experience in breeding areas, adult males go first around the end of August leaving the female and juvenile(s) to depart later. In quite a number of cases the female will leave before the juveniles so it is likely that the flocks in late September will be mostly juveniles but it would aid discussion if the percentage of juveniles could be determined with some rigour. Forsman (1999) says that the "ageing of Honey Buzzards and the sexing of adults is usually not difficult if the bird is seen relatively close and in good light, but some adult females may appear similar to juveniles". Some detailed analysis of flocks seen closely is ideally required, even if only on a sample basis. Knowledge of the age composition and an estimate of the productivity in 2000 would enable the number of breeding pairs represented in the movement to be calculated from the total number of individuals observed. A letter by Combridge (2000) offers a further cautionary note on differentiating between Common and Honey Buzzards at a distance. Common Buzzard juveniles evidently "habitually soar on flat wings (in southern England from late June into early autumn)". An accompanying editorial comment from R.J. Prytherch supports this observation and further notes that such behaviour can occur throughout the year and can be accompanied by "flaps that are distinctly slower and more relaxed than the 'normal' stiff-winged flaps of an adult". Prytherch also noted that the wings of juvenile and first-year Common Buzzards are narrower than those of adults giving further possible confusion with Honey Buzzards. At Falsterbo not all buzzards are identified to species level. The numbers of unidentified buzzards Pernis/Buteo ranged from 611-7,117 from 1949-60. More recently this category has declined with the use of very experienced counters but still ranged from 26-254 from 1986-92 before declining further to 0-4 from 1993-97 (Kjellén & Roos 2000). The movement was described as unprecedented. Certainly the numbers involved were the highest in the modern recording period and probably even high compared to the historical period in the 18th century before systematic game preservation commenced. Extensive woodlands were scarce over many areas of northern Britain in the 18th century and it is unlikely that the Honey Buzzard was particularly common then simply because of the lack of habitat (Rossiter 1999). So the event seems remarkable even on a long historical perspective of three centuries. Also see Unprecedented in almost 200 years. As has been said in many quarters, the Honey Buzzard is a relatively powerful flier for a broad-winged raptor and it regularly makes sea crossings of 100-150 km as from Sicily to Tunisia. The flight from Portland Bill to France (90km) also shows its ability here. However, this does not necessarily make it a likely drift migrant. Honey Buzzards are very careful to minimise sea crossings and therefore must intensely distrust the sea. They also appear to have a very strong southward thrust in their autumn movements and their powers of flight would enable them to resist all but the strongest winds in keeping on a southward path. Another feature of Honey Buzzards is their ability to lose height through diving very quickly. On sensing displacement a Honey Buzzard would either flap against the wind to restore their chosen direction or, if over land, quickly dive to the ground before the sea is reached. The point here is that the Honey Buzzard is a most unlikely drift migrant over hundreds of kilometres. It decides where it wants to go and has a strong southward thrust. It crosses open stretches of sea when its southwards urge is satisfied. This is why, in spite of substantial populations on the continent throughout the current era of bird watching, a large drift movement has not been observed in Britain. The comparison with the balloon making the crossing from Germany to Scotland (Birch October 2000; Mitchell 2000) is misleading. The balloon's crew would be unable to resist a drift movement while Honey Buzzards would, on all past precedent, resist such a drift strenuously. This issue is dealt with in more detail later. There is also the question of stamina. Can Honey Buzzards really fly 600km over the open sea and survive in such numbers? There seems no precedent for this. The bird in Iceland in September 2000 was found in a poor state and died after two days. If it had travelled the 500km from Scotland, this would give an indication of its limited potential for endurance. Broad-winged raptors are able to save up to 97% of their energy by soaring on thermals rather than engaging in 'flapping' flight. See Movements in Denmark for the normal passage of Honey Buzzards through the peninsula in the easterly winds around 20th September and Honey Buzzards in Schleswig-Holstein and Helgoland for confirmation that Honey Buzzards are able to resist drift from easterly winds. It is necessary for completeness to investigate a Scandinavian origin. What was happening at Falsterbo around the time of the British movement? Information was to hand here from the Falsterbo fågelstation (for instance in 2000: http://www.skof.se/fbo/arkiv/obs_w38.htm for September 16th-22nd 2000). Further URLs are in the References at the end of this article. Archive information is at Archives . Some 362 crossed at Falsterbo from 9th-14th September 2000 (23, 43, 37, 48, 39, 172 over the six days) with the last major count of 153 on 15th. Further counts were of 44, 31, 10, 7, 12, 14, 6, 5, 11, 3, 1, 1, 0, 0, 1 for 16th-30th respectively. Common Buzzard Buteo buteo numbers reached 147 on 21st and 158 on 24th. Eight Ospreys Pandion haliaetus were noted from 16th-22nd and none from 23rd-29th. 76 Marsh Harriers Circus aeruginosus were noted from 16th-22nd and 39 from 23rd-26th. If all the 607 Honey Buzzards from 9th-19th had subsequently moved towards Britain from whatever direction then the numbers are beginning to be there. But it would need some exceptional weather in Germany to give such a remarkable movement. Basically the last substantial movement at Falsterbo seems too early to account for a direct movement from Scandinavia to Britain. Realising the problems with a direct movement from Scandinavia, it has also been suggested that the birds came from Scandinavia via Germany (Birch October 2000; Mitchell 2000). Also see Movements in Denmark which concludes: analysis of movements in Denmark, from observations available to date from widespread observatories, appears to confirm that the movements in Scandinavia finished in mid-September. The date of the last significant movement is extended to 17th but the main part of the passage (80%) appeared to be moving, as usual, through the eastern side of Denmark. Only 20% were noted in Jutland, nearly all of which were moving south or south-east against moderate to strong (force 4 to 6) south-east winds. Very few birds were apparently seen in Norway but one bird reached Iceland, exhausted after possibly a 500km journey from Scotland. See Honey Buzzard Records in Norway and Iceland Autumn 2000 . Also see Opinion of Nils Kjellén, Co-ordinator of Falsterbo Raptor Count for confirmation that it is very unlikely that high numbers migrated somewhere else in Sweden after 15th September. Also note the absence of any records of Honey Buzzards from North Sea Oil Rigs in 2000. This implies that birds were not crossing the North Sea. See North Sea Oil Rig Records. Finally see Swedish Breeding Populations of Honey Buzzards for the results from a study n Darsland, Sweden. From the data presented here it seems possible to derive for the year 2000 an upper bound for the national population of 5,000 pairs and 0.33 young/ active nest giving 1,650 juveniles and a lower bound of 4,000 pairs and perhaps 0.2 young/ active nest giving only 800 juveniles. It does seem surprising that such an unprecedented and massive movement in Britain should originate from a population that is suffering a decline and poor productivity. See Further Information on Swedish Breeding Populations by Martin Tjernberg (2005) for a perspective from Svealand, also indicating a decline. A broader perspective on Swedish breeding populations of Honey Buzzards (Kjellén & Roos 2000) indicates from counts at Falsterbo that decline has now been taking place for three decades and that "the present long-term declines in Honey Buzzard and Common Buzzard are somewhat disturbing". From 1975-97 the proportion of juveniles in the counts of Honey Buzzards was only 9%. Low productivity due to habitat changes (less old deciduous woods) and loss of experienced adults in spring to hunters in the Mediterranean are implicated in the overall decline. Suggestions that the British birds arrived from Finland look very fanciful. In autumn Finnish birds move SE to avoid crossing the 70-90km wide Gulf of Finland Honey Buzzards in Finland . http://www.telegraph.co.uk/et?ac=003505727624847&rtmo=3mxHuBnM&atmo=tttttttd&pg=/00/9/10/ixweath.html for example, for 10th September 2000; this link not available by October 2002), help in evaluating this possibility. From the 9th-11th September the weather appeared to be reasonable in northern Germany. A warm front crossed southern Denmark and northern Germany on the 12th clearing the area on the 13th. The weather was very good in the area from 14th-15th with the last substantial passage at Falsterbo occurring then. An occluded front crossed Denmark on 16th and persisted in the area on 17th. An anticyclone built further east from 18th-19th giving apparently fine weather on 18th but a warm front crossed the area on 19th. On 20th the area was clear of fronts. Likely winds were westerly from 9th-12th, southerly from 12th-14th, south-east from 15th-17th, south on 18th and south-east from 19th-20th. None of the winds was particularly strong based on the isobar spacing and normal overland passage would surely proceed under such conditions. Birds clearing Falsterbo from 9th-11th would have had 4-6 'good' migrating days by 19th, from 12th-14th 3 days, from 15th 2 days, from 16th-19th 1 day. These time periods are the absolute minimum. If any part of an apparently poor day was fine, particularly in the early morning, birds would have still moved. The important conclusion is that overall there was no 'blocking' weather. A working distance per day is perhaps 100-150km based on the fact that peak passage at Falsterbo is late August to mid-September and at Sicily is mid- to late-September (BWP). The birds therefore travel 2,000km in two to three weeks. The 100-150km is an average figure: 250km may be possible on a 'good' day and 0km on a 'bad' one. Taking the average figures, birds arriving from Falsterbo from 9th-11th would have travelled 800-1,500km by 19th, from 12th-14th around 500-1,050km, from 15th 400-600km and from 16th-19th 0-450km. The birds, on any reasonable timetable, would be well clear of northern Germany by 19th except perhaps for some laggards in the 153 that crossed on the 15th and the 92 that crossed from 16th-19th. What is needed to explain the exceptional movement is therefore a large passage from central and southern Germany of perhaps 800-1,000km in a north-westerly direction to north-east England. The weather conditions in these parts of Germany on 19th, in contrast to those in the very north of the country, were apparently clear with an unremarkable south or south-east wind. There seems therefore no possible chance of these birds reaching the North Sea. The reverse movement required would surely also have been picked up in Holland or Belgium but there were evidently few reports from there (Birch October 2000). Having seen groups of Honey Buzzards on their southward migration every year here in eastern Westphalia (Germany), this year there were (nearly) none. Perhaps some people from other regions further west of Germany (The Netherlands, Belgium, France) could report us of numbers unusually high? Where have "our" birds been drifted? With few birds apparently to the west of Westphalia (in Holland and Belgium) in mid- and late-September and very few in Westphalia itself, it would appear that most Honey Buzzards in September 2000 passed to the east of Westphalia. In Schleswig-Holstein and Helgoland, few reports were received around 20th September ( northern Germany ) indicating a small passage at this time. Direct observations also showed that birds resisted the drift to the west implied by the easterly winds. Therefore a detailed examination of the weather patterns in central Europe together with observations at Falsterbo, Westphalia and Schleswig-Holstein appears to show that a movement from Scandinavia to Britain via Germany is most unlikely. In the Swiss-French border area, the trend in the counts is not that different from that at Falsterbo or in Denmark with a marked late August and early September peak and little movement after 15th September. This suggests that the birds move quickly through Germany. The pattern of migration in this area in 2000 Swiss-France Border appears to have been normal. So what about German-bred birds? It would be thought that these would have moved on by mid-September. It is likely that their breeding season is earlier than that in Scandinavia (or Britain). Mitchell (2000) comments: "Whatever the precise origin of the birds, there is patently no foundation for the bizarre suggestion aired on the Internet that these were British birds leaving their breeding areas!". From views such as this and those expressed on UKBirdnet a number of people seem to believe that the population of Honey Buzzards in Britain is around 20 pairs or even less. Yet Roberts, Lewis & Williams (1999) thought "that the current British breeding population is 50-60 pairs and, at the current rate of expansion, it does not seem unduly optimistic to predict that a population of 100 pairs will be reached in the not too distant future". Further they do suggest much higher figures are possible from work done in upland areas (see later). Perhaps it is not appreciated by many people in southern England how much land use and social attitudes have changed since 1990 in northern Britain. Many of the land use changes started much earlier - the blanket afforestation of hill-sides and moorland - but in the 1990s much more enlightened timber management plans were developed with the deliberate creation of mixed-age woodland and the introduction of more deciduous trees. Many northern counties are more heavily timbered than for a long time, perhaps back to the 16th century in some cases. For instance Northumberland has 35% of its area under timber, one of the highest proportions in Britain. Dumfries and Galloway has 25% of its area under timber. In April 2002 the Guardian reported that 17.2% of Scotland was now under forests, the highest for over 700 years and compared to only 5% in the early 20th century but only 8% of England was under timber. Even the Scottish figure is low by northern European standards. The social change is the attitude of landowners towards birds of prey. While Hen Harriers Circus cyaneus remain heavily persecuted on grouse moors, persecution of woodland-breeding raptors has very much decreased, at least in their nesting areas. The most obvious change is the spread of the Common Buzzard which has moved from a westerly distribution to now be found in nearly all areas and in increasing densities (Clements 2000). However, another beneficiary has been the Honey Buzzard which was not too keen on nesting in exposed westerly areas but is able to adapt to more sheltered central or eastern areas. A third factor in the colonisation by Honey Buzzards of northern Britain may be global warming. The poor springs delay nesting but the warm trend in autumns is enabling them to complete the breeding cycle (just) by early September. There was an interesting feature on buzzards in the Morning News (a free paper published in Tyne & Wear by Metro News Company of London) for 27th September 2000 which stated: "And it is not just the buzzard which is doing well because a spectacular near cousin is amazing ornithologists as well ... [the honey buzzard] is now thought to have arrived in some northern woodlands and forests". It is surprising that a newspaper appears to be more aware of the literature (and the situation on the ground) than some commentators. Roberts, Lewis & Williams (op. cit.) thought the British breeding population could exceed 200 pairs from their field experience in upland areas but they stress that "We have no evidence that such a population exists ...". An extrapolation from my study area, which I regard as not particularly favourable habitat-wise, would suggest 200 pairs in northern Britain alone from the Humber northwards. This undoubtedly has a large range of error attached to it but, if unstudied areas hold significant numbers, we are certainly talking about much higher numbers than people have envisaged to date. Honey Buzzards will even nest in woods where other large raptors are persecuted. They do not fall for poisoned baits, because of their diet. Such pairs, with no other raptors to stimulate them, are the most secretive of all. There is of course also the significant southern English and Welsh populations to add in. See Honey Buzzards in Wales for an account of the colonisation of Wales . Why do more people not find breeding pairs then? They arrive in May, sometimes quite late in the month, and their display is weak both in duration and effort. As found by myself and Roberts, Lewis & Williams (op. cit. ), the classical display of 'wing-clapping' noted in some identification books is seldom observed, most birds floating around the nesting area and not engaging very much in active (flapping) flight. Two obvious identification features are therefore lost. Further, the poor weather recently found at this time of year and relatively low density inhibit the frequency of display with some birds just appearing for 15 minutes around 12:30-13:00 hours. The best time to see breeding Honey Buzzards is mid-August - early September when the young are about to fledge. But most raptor groups have hung up their boots by this time. If both adults leave after the fledging of the young, the remaining juveniles spend much of their time out of sight and of course their identification is not easy. So with the limited experience of most British fieldworkers with this species and its invisibility for long periods, there are all the ingredients for a bird that is very much over-looked. Experienced observers who dedicate their summers to the species can find them but casual observers usually find nothing. See also Differences in Detectability of Red Kites and Honey Buzzards . It is doubtful that an exhaustive survey, however apparently thorough, will find even half the pairs breeding. We are not dealing with Red Kites Milvus milvus or Ospreys. It will be interesting to see the results of this year's breeding survey. I understand that the number of nesting pairs found will certainly exceed the estimate of 50-60 above. (Now available, see 2000 Survey for a discussion of the preliminary findings). In the long run, samples by dedicated observers and extrapolations based on detailed habitat analysis are probably the best way forward. In Sweden, for instance, there is surely no annual census of the species in its breeding habitat. There will be some work going on each year but the best gauge of the population is presumably the numbers passing Falsterbo. The Honey Buzzard breeding season was very good in 2000 with 1.4-1.6 juveniles per pair for the five pairs in my area and all pairs successful. Extrapolated, with a wide range of error, this would suggest 280 juveniles were raised in northern Britain alone. Wasp populations were very high through to mid-September and this may have encouraged the juveniles to remain in their breeding areas longer than usual. The number of pullus ringed in Britain in 2000 was the highest ever at 19, being almost four times the 1997 total British Ringing Totals . While providing no direct information on Honey Buzzards, Glue (2000) reports: "after a cold, snowy, late start to nesting operations in April in Scotland, a marginally warmer and drier summer than usual .. favoured certain flagship species. Divers, Golden Eagles, Osprey and a range of forest passerines performed well". There is a precedent in Britain for a secretive bird of prey increasing its range and population dramatically without being initially detected: the Hobby Falco subbuteo. This occupied large areas of eastern and central England by stealth. Observers were not looking for it here. They had a narrow view of its preferred habitat and it was regarded as a great rarity not suited to breeding in Britain on a large scale. See Gibbons, Reid & Chapman (1993) for an overview. Further the area colonised by the Hobbies was much more heavily populated with birdwatchers and easier to work than the northern forests. See Hobby Population in Britain for recent data suggesting 2,500 pairs as a British breeding population and a suggestion that the Honey Buzzard population is similarly under-estimated. The colonisation of Britain is likely to have come from the near continent as much as from our traditional small population. It is not true that the Honey Buzzard is a scarce breeder in Holland and Belgium as claimed by Birch (October 2000). Kostrzewa (1998) gives populations of 300-450 pairs for Belgium and 630-760 pairs for the Netherlands, the latter being much higher than that recorded in the original BWP. Numbers have apparently also increased in north-west France with John Cantelo noting, in Cross Channel Birding (http://members.aol.com/berksbirds/calais.htm or http://www.birdtours.co.uk/tripreports/france/calaise/calais.htm ) for the area around Calais, that the "Honey Buzzard [has] apparently increased since the first French atlas [from 1976 to 1995] - every substantial woodland appears to support the species. I've never missed them in season. Between 35-65 pairs, but absent along the Flamande coastal plain east of Calais". An interesting pointer to colonisation in Scotland is provided by the North-East Scotland Bird Reports. The status of the Honey Buzzard is given as rare passage migrant (1994); rare vagrant, occasionally seen during the summer months, but most often as a passage migrant (1998); rare passage migrant, occasionally seen in suitable breeding habitat during the summer months (1999). Pete Crooks Drift Migrant or Overlooked Species also raises the possibility of the Honey Buzzard being overlooked in the Lancaster area as a recent colonist. In Devon there was an interesting series of records in 1999 comprising at least six individuals from 17th May to a juvenile on 19th September. Breeding was last observed in Devon in 1996 but 1999 saw an increase in passage migrants (far more than in 1997 and 1998) suggesting that populations are being established elsewhere (Devon Bird Report for 1999, no.72 at p.43, 2001). See also British Population is Still Relatively Small. One of the factors influencing people in deciding the origin of the birds is that 'they came in off the sea' or 'they were exhausted or in poor condition'. This type of evidence is very subjective. A bird coasting, for instance, can drift out to sea a little way and then steer back-in again towards the land and be labelled an immigrant (erroneously) by an observer. The condition of the birds is also not conclusive. British birds grounded by bad weather may be suffering severe discomfort, some British juveniles may have fledged only two weeks before and British birds that have drifted out to sea and got lost may be near death when they return. It is very interesting to look at historical evidence here (Rossiter 1998). In Northumberland, 6 out of the total of 34 records from 1829-1910 (when the species did breed in Northumberland, at least on a casual basis) involve drowning or distress at sea. From 1910-1992 when continental populations still existed and no pairs were known in Northumberland, no birds were found drowned off the Northumbrian coast. This year (2000) we had a drowned bird again on the coast, the first for 119 years (since 1881). Perhaps the most extravagant claim (UKBirdnet) was that the birds on the 20th were milling around offshore, remaining aloft after their journey across the North Sea. Honey Buzzards are not seabirds, afraid to go on the land. If they had crossed the North Sea they would surely have made immediate landfall (like any other landbird). These birds had probably simply taken off from the land and were trying to orientate themselves. There seems to be some confusion over the exact behaviour of the birds at the start of the influx ( Lincolnshire Records ). All the subjective evidence above could equally well refer to coasting birds as to birds that had crossed the North Sea. In this respect the absence of any records of Honey Buzzards from North Sea Oil Rigs in 2000 also implies that birds were not crossing the North Sea. See North Sea Oil Rig Records. The subjective evidence from the east coast for a continental origin for the birds should be discounted. Information from Malta Malta Raptor Studies shows that Honey Buzzards tend to fly parallel to the coast. September was a warm month on the whole with daytime temperatures 0.7 degrees above average. This, with the high wasp populations mentioned above, may have encouraged birds to linger. However, there was one dramatic period. From September 18th-20th temperatures were 1-2 degrees below normal. This cold spell may have induced many raptors staying longer than usual to leave quickly. 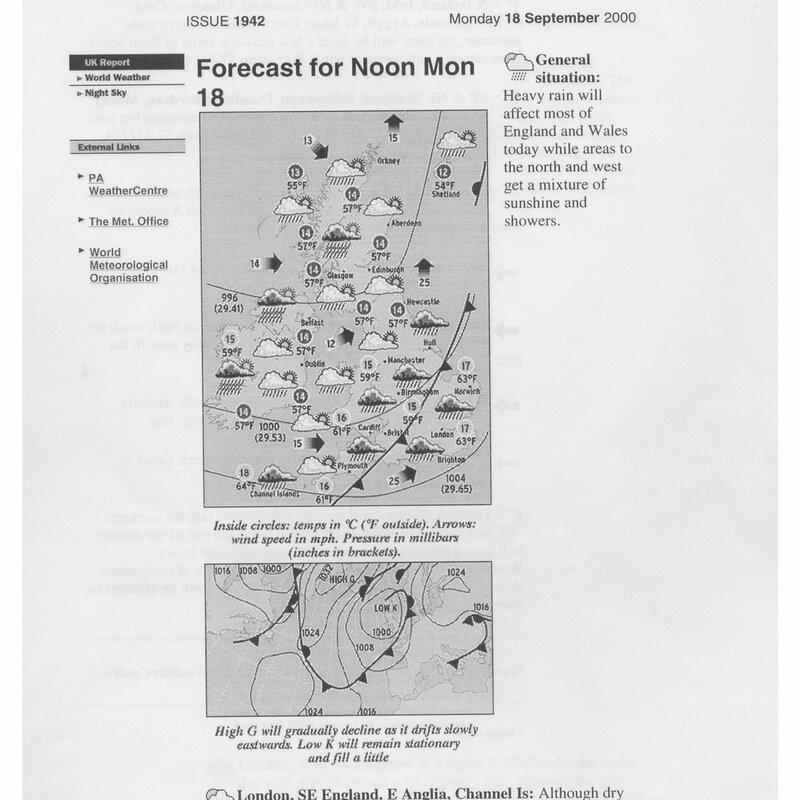 The problem was that they were entering the wettest week of the year to date from 18th-24th September (Guardian, September's Weather, 9th October 2000; see Weather ) and their efforts south were highly visible because of the poor conditions (not to mention the publicity). One of the striking features of the poor weather was a warm front moving west across the western North Sea on Tuesday 19th. Birds coasting from further north would be grounded when meeting the front along eastern coasts. Such birds, now very keen to emigrate, would have been early risers the next morning attempting to resume their journey. It is worth noting that raptors do still migrate in bad weather but that they are more cautious in such conditions avoiding sea crossings if at all possible. Corso (2001) says that "raptor passage may be heavy even in strong rain and mist. In clear, sunny conditions, many raptors take advantage of strong thermals and cross the [Messina] Strait at high altitude., or even make a longer sea-crossing ... During cold weather or rain, they cross the Strait at the shortest point and at a lower altitude". So why have these movements not been observed on this scale before? The population is undoubtedly increasing. If many new pairs were breeding for the first time this year, the breeding season will have run later than usual. The breeding season was successful. High numbers of wasps will have encouraged birds to stay. The weather circumstances with warm weather in September up to 17th followed by a sudden deterioration from 18th-20th caused a rapid and highly visible exodus. The emigration may not be usually so obvious but it will be interesting to see what happens in future years. 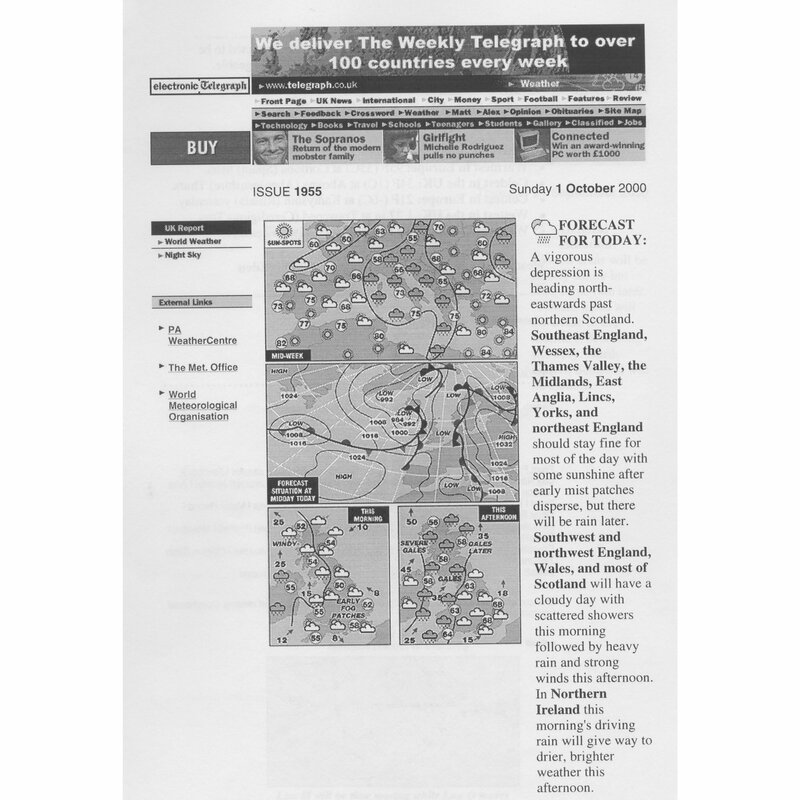 The weather pattern from 21st September-1st October (Daily Telegraph op. cit.) also affected the birds very markedly. In effect they were 'blocked' until 29th September by a persistent low-pressure system just to the west of Britain generating vigorous southerly/ south-easterly winds and much precipitation. In the southern North Sea from 20th-29th September winds were SE or S from 25-40km per hour every day except the 21st when the wind was W at 30 km per hour. In the English Channel winds were slightly lighter but were still 20-25km per hour from a quarter between SE and SW every day except again for 21st when the wind was W at 20km per hour. The clearest days were the 23rd and 25th but on both days the winds at 20-30km per hour were against ambitious movements to the south over the sea. On 29th September the wind began to ease and on 30th it became light at 13km per hour, E or NE, in the Channel and 12km per hour NE in the southern North Sea. On the 1st October the winds went to a light northerly (13km per hour) in the Channel and a light south-easterly in the southern North Sea (also 13km per hour) before freshening later in the day. In my experience British Honey Buzzard juveniles have two exiting strategies, either to fly down rivers eastwards until the coast is reached or to fly due south. On this basis the migration will be on a broad front with birds seen in all areas but concentrations will occur on the east coast. The wide Humber, with its massive drainage area, is likely to be a key focal point with coasting birds meeting birds flying downstream and perhaps hesitating before crossing the water. This model seems to match the observed movements very well. It is noteworthy though that birds chose not to coast around Kent or Norfolk but took the direct route south across to Essex and Sussex. This does confirm their very strong sense of direction. Birds from the western side of northern Britain, following a course south, would pass through Lancashire and perhaps Dorset eventually. In this model migration may have peaks, due to hold ups in bad weather, but will be reasonably steady out of breeding areas. Birds will be able to maintain a low profile, in their natal areas, until they actually get under way on migration. Birds would appear to be 'coming out of nowhere'. The geographical pattern of movement in 2000 was actually quite typical for Honey Buzzards in Britain over the past decade. It is only the scale that is different. Fraser, Lansdown & Rogers (1999) in their review of scarce migrants in 1997 wrote: "The usual southerly and easterly distribution was again evident in 1997 as illustrated ...". There were relatively fewer records near the coast in Yorkshire and Lincolnshire in 1997 and rather more relatively in Kent but the overall picture is not that different from the overall picture in England in 2000. The report for 1998 by Fraser, Lansdown & Rogers (2000) shows a pattern of autumn migration which is qualitatively quite similar to that in 2000. See Honey Buzzard as a Scarce Migrant in Britain in 1998 for further details. The behaviour of the birds in southern England can be appreciated when it is realised they were 'blocked', as indicated earlier, by adverse southerly winds. Under such conditions the birds would approach the south coast but not actually land on the coast itself because of the need to feed while waiting. Honey Buzzards are catholic feeders when wasps are scarce taking amphibians and young birds such as pigeons but they might also readily find wasp nests in some woods. Birds would be seen moving from time to time, often to the south, and building up temporary concentrations but would not appear over the south coast in any numbers until the weather conditions were right. Finally the winds began to ease on the 29th and on the 30th the low pressure driving the adverse winds drifted south. The Honey Buzzards were released and the Channel crossing began in earnest, some birds probably moving some distance from inland to reach the coast. Conditions were again favourable early on the 1st October and the remaining concentrations of Honey Buzzards quickly made their exits. If this model holds, then a good idea can be obtained of the size of the movement by totalling the counts at south coast departure points. On this basis the movement is estimated at 525 birds (as calculated earlier), rather lower than the claim of 750-1000 in Birdwatch (Mitchell 2000). Because of the problems of identification, duplication and missed birds, a range of 400-600 birds looks reasonable. If raptor passage becomes more regular on this scale, the authoritative census (equivalent to Falsterbo) would surely be the numbers leaving south coast promontories. A model for continental visitors seems very difficult to construct. If 75 birds were seen on the 20th where were the other 300+ (or 700+ if the higher estimate is taken of Mitchell (2000))? Were they still over the North Sea? Had they already arrived in northern England? If the birds had arrived over the North Sea on 19th, why like other drift migrants did they not all descend on the first coast they found? Surely after 600km of sea crossing they would not fly deep inland. In the unlikely event of the birds flying inland on their arrival, how would they be able to maintain invisibility like British-bred birds? Would they not have to fly around looking for suitable habitat and therefore be very conspicuous? Why were so many seen in Lancashire? Rough-legged Buzzards Buteo lagopus for instance usually linger near the east coast. Why were so few birds seen moving west? Most movements seem to be southwards. See for instance an analysis for 23rd September Southward Movement in Britain. How did birds get to the northern inland areas without doing an observed westward movement? It might also be expected that if the birds had been displaced, they would attempt to move east and re-orientate themselves. There is no evidence for this. Indeed the reluctance to follow the north Kent coast eastwards and the relatively small numbers in Norfolk would suggest they had no basic drive in this direction. Their basic drive was southwards through Essex and into East Sussex. It could also be argued that these birds had collectively suffered a failure in migration orientation (reverse migration) but there is no evidence for any move westwards in Britain to support this. Further it seems that, if they did come from Sweden via Germany, they had commenced their migration in the right direction (southwards) before apparently suffering a complete failure in orientation. Why were no foreign-ringed Honey Buzzards recovered in Britain in 2000? The lack of recoveries of any foreign-ringed birds in 2000 further weakens the case for the movement in September originating abroad Honey Buzzards ringed in Britain . It is not possible in my view, on the information available to date, to construct a model to represent the movement as an influx from the continent. Further, any model that ignores the British population completely is untenable on the evidence available. See also Evidence for Continental Origin from UKBN Debate . In migration studies valuable evidence is often gained from looking at accompanying species to confirm or reject theories. Ospreys clearly moved with the Honey Buzzards but there is no evidence for these being Scandinavian as passage at Falsterbo was very slight by this time (see above). It is more likely that British-bred Ospreys were motivated by the rapidly deteriorating weather conditions in the same way as the Honey Buzzards. The same can probably be said for the Marsh Harriers seen in the movement. There seems to be no major drift migration recorded for other species around the 20th that would suggest a major displacement of birds from central Europe. For instance Lesser Spotted Eagles Aquila pomarina which breed in Poland in large numbers do not seem to have been found further west than usual in any quantities. See Ringing Data for Raptors for further indications that broad-winged raptors are scarce migrants across the North Sea. 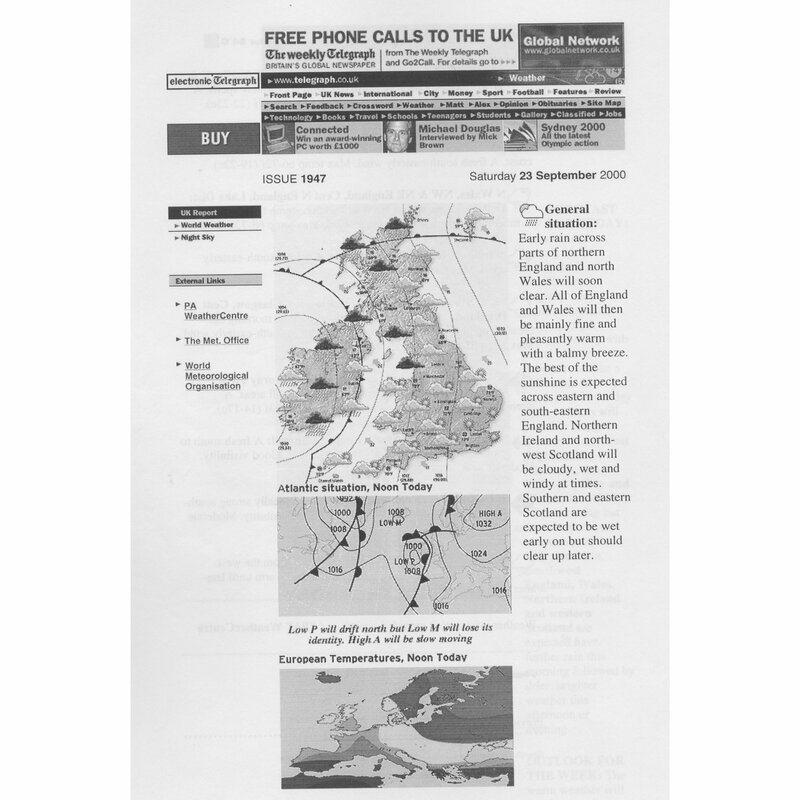 Also see the comment for Short-toed Eagle Circaetus gallicus in the report on rare birds in Great Britain in 1999: "Autumn migration peaks from late September to early October and vagrancy to other northwestern European countries is well established. Sweden, for example, has amassed over 60 records with several annually in recent years, while ten have occurred as close to us as the Netherlands. The sea really does seem to be a major barrier which prevents large raptors from visiting Britain. It is heartening to find that it is not 100% effective" (Rogers 2000). Birdline South East ( Analysis of the Honey Buzzard Movement ) sums up the apparent lack of a supporting cast: "This influx of Honey Buzzards, although unpredicted was perhaps the more surprising because of the general lack of associated species from the presumed origin area of northern Europe - a few more Marsh Harriers, Common Buzzards and Hobbies than usual were seen though this may reflect the fact that more birders were raptor watching at this time than an actual influx of these species". Graham Catley's comments on Eurobirdnet are also relevant. One impression gained is that there was a substantial passage of hirundines while the Honey Buzzards were moving. This is confirmed by the very high counts made at observatories during the period in which the Honey Buzzards were moving. See Cogeners of the Honey Buzzards . One of the assumptions in the discussion of the origin of the Honey Buzzards appears to be that birdwatchers will usually see a high proportion of the birds of prey moving from their breeding grounds to their wintering areas. This seems very questionable as in good weather many raptors will fly at high altitude and be missed entirely. To illustrate this, consider the Osprey where the breeding population is well understood. In 1998, according to the Rare Birds Breeding Panel (Ogilvie 2000), 131 pairs were present in Britain and 194 young were raised, giving a post-breeding population of 456 birds. Adding up the figures for July-October 1998 given in the British Bird Report in Birdwatch for south-west and south-east England gives a total of 117 birds noted. Thus a conspicuous species, which occupies habitat very much visited by birdwatchers, appears to have a detection rate of about 25%. It is true there will be reports not included in the Birdwatch report but there may also be duplication in the birds appearing in the counts, such as birds visiting several reservoirs or being long-stayers. The analysis of records for scarce migrants (Fraser, Lansdown & Rogers 1999) over the 1990s shows a long-term upward trend for the Honey Buzzard with an annual average of 108 individuals for 1990-97 compared to 60 for 1986-89. However, the pattern is erratic from year to year perhaps indicating that weather conditions are quite critical in determining its visibility. Peak years were 1993 with 167 individuals and 1995 with 150. If in these peak years it was considered that the detection rate was 25%, then some 600 birds may have been involved in movements though Britain. This includes spring and autumn migrants with no distinction made between juveniles and adults. Taking a 40:60 split between spring and autumn, as in 1997, would give a breeding population of about 120 pairs on the spring data and also on the autumn data if one young were raised per pair. My view is that Honey Buzzards are likely to be less visible than Ospreys because they are confusable with other species and are less likely to visit well-watched reservoirs. Therefore the detection rate of migrants could be less, particularly in spring, indicating a somewhat higher breeding population than 120 pairs. At Falsterbo, the highest detection rate is reported for Red Kites with adults at 50% and juveniles at 69%. Kjellén & Roos (2000) note that the Honey Buzzard "is less dependent on thermal migration than the Common Buzzard and the annual totals may vary considerably between single years". They also state that "during the last four years [1994-97], prevailing stable high pressure conditions in August meant a comparatively low concentration of early migrants at Falsterbo. Thus the relatively low figures in species such as Honey Buzzard ... are probably primarily a weather effect and not a sign of a population decrease. Therefore long series are necessary in order to evaluate population development". Another interesting observation is the clumped nature of the Honey Buzzard passage: "The majority are usually recorded on just a few peak days in late August to early September". As a corollary, it is not actually even clear that the Osprey population is fully known in Britain. The North-East Scotland Bird Report for 1999 says: "Given the proliferation of new put-and-take fisheries, and the abundance of suitable nest sites, it is quite possible that nests remain undetected, particularly in areas little visited by birdwatchers". We know less than we think we do! The main reason that has been given for not considering a British origin for the movement of Honey Buzzards in autumn 2000 is that the population is far too small. The prejudice that this view has generated has led to a weak analysis of the origin of the birds with some commentators asserting that the birds must have come from the continent without checking the numbers present there or the actual weather conditions. The data from Falsterbo, indicating that the last significant passage was on the 15th September, and the reasonable migration conditions in Germany, with no blocking fronts from 9th-19th, suggest that by 19th the last Scandinavian migrants will have been at least as far south as central or southern Germany. For a significant movement to Britain, a reverse movement of around 1,000km is therefore required. This seems most unlikely as anticyclonic conditions apparently prevailed in central and southern Germany on 19th. Further such a movement cannot be traced on 19th-20th in the countries (Belgium and Holland) over which it would have passed nor apparently in Westphalia in western Germany nor in Schleswig-Holstein or Helgoland in northern Germany Honey Buzzards in northern Germany nor in Denmark where the last significant movement was on the 17th Movements in Denmark . The movements of the juveniles are entirely consistent with a British origin. The concentrated movement can be readily attributed to the sudden deterioration of the weather in Britain from 18th-20th September. The mapped distribution of birds is similar to that observed in the 1990s through the analysis of observations of scarce migrants: the only difference is the scale. The delay in the birds leaving Britain was due to a 'blocking' low from 21st-28th September. When this started to sink south on 29th and 30th, the birds made a rapid exit. The British breeding population of Honey Buzzards is clearly higher than is generally realised. The final results of this year's census are not yet to hand but it is expected that over 60 nesting pairs will have been found. The preliminary results 2000 Survey confirm this figure. The difficulties of finding the species and the vast areas of suitable (and apparently un-searched) habitat for it in northern Britain mean that this figure could be a serious underestimate. Two studies of upland areas suggest (but do not prove) that the British population could be over 200 pairs. An analysis of records of scarce migrants in 1997 indicates a minimum population of 120 pairs, assuming 25% of the birds are logged. Illustrative figures of 250 breeding pairs in Britain and 1.4 young per pair (found in one study area this year) would give a total population at the end of the breeding season of 850 birds. By mid-September nearly all males will have left but if 20% of the females and all juveniles remained there would be a total population of 400 birds. This figure is at the lower end of the estimate of 400-600 for the total movement given earlier based on counts at south coast exit points. Clearly much work needs to be done before a report on the movement can be produced that is definitive enough to be widely accepted. An aim of this report is to broaden the debate so that the full circumstances can be considered in a scientific manner without prejudice. We will certainly have to wait a while before numbers can be made more definitive. Records Committees will have their say and we await further developments in the attempts to monitor the British Honey Buzzard breeding populations through the surveys. Further evidence from Germany would be useful on the exact movements of Honey Buzzards in mid-September. Using weather reports for Europe rather than forecasts should also be done. I am very grateful to birdwatchers everywhere who paged in their sightings; to Birdguides for their archive of pager records; to Falsterbo fågelstation, Sussex Ornithological Society, Portland Bird Observatory and Field Centre, Ralph Hollins, Birdline NorthWest and Birdline South East for making observations available so conveniently; to Nils Kjellén, Co-ordinator of Falsterbo Raptor Count, and Andy Thorpe, North Sea Bird Club, for further information and to Surfbirds for their speedy and visually appealing methods of documenting the movements in Britain. Birch, M, Unprecedented Influx of Honey Buzzards into the UK during September 2000, Surfbirds, http://www.surfbirds.com/Features/honeybuzzards.html ,Consulted October 2000. Clements, R, Range Expansion of the Common Buzzard in Britain, British Birds 93(5) p.242-248, 2000. Combridge, P, Common Buzzards soaring on Flat Wings, British Birds 93(12) p.644, 2000. Corso, A, Raptor Migration across the Strait of Messina, southern Italy, British Birds 94(4) p.196-202 (2001). Falsterbo fågelstation, News of the Week, http://www.skof.se/fbo/arkiv/obs_w37.htm for September 9th-15th 2000; http://www.skof.se/fbo/arkiv/obs_w38.htm for September 16th-22nd 2000; http://www.skof.se/fbo/arkiv/obs_w39.htm for September 23rd-29th 2000. Consulted October 2000. In 2001, only archive information is available at Archives . Forsman, D, The Raptors of Europe and the Middle East, A Handbook of Field Identification, Poyser 1999. Fraser, P A, Lansdown, P G, & Rogers, M J, Report on Scarce Migrant Birds in Britain in 1997, British Birds 92(12) p.618-658, 1999. Fraser, P A, Lansdown, P G, & Rogers, M J, Report on Scarce Migrant Birds in Britain in 1998, British Birds 93(12): 588-641, at pages 599-600 (2000). Gibbons, D W, Reid, J B, & Chapman, R A, The New Atlas of Breeding Birds in Britain and Ireland: 1988-1991. Poyser 1993. Glue, D, Sea Eagles and Med Gulls Liven a Lacklustre Breeding Season, BTO News 231 p.19 (2000). Kjellén, N, & Roos, G, Population Trends in Swedish Raptors demonstrated by Migration Counts at Falsterbo, Sweden 1942-97, Bird Study 47(2) p.195-211, 2000. Kostrzewa, A, Honey Buzzard, in: BWP Update, 2(2) p.107-120, 1998. Mitchell, D, The Honey Buzzard Invasion: a Once in a Lifetime Event, Birdwatch 101 p.60-61, November 2000. Ogilvie, M, Rare Breeding Birds in the United Kingdom in 1998, British Birds 93(8) 358-393, 2000. Roberts, S J, Lewis, M S, & Williams, I T, Breeding Honey-Buzzards in Britain, British Birds 92(7) p.326-344, 1999. Rogers, M, Report on Rare Birds in Great Britain in 1999, British Birds 93(11) p.526, 2000. Rossiter, N, Northumberland's Birds in the 18th and early 19th Centuries: the Contribution of John Wallis (1714-1793), Transactions Natural History Society of Northumbria, 59(3), p.93-136, 1999. Better to be wrong but wromantic than right but repulsive!